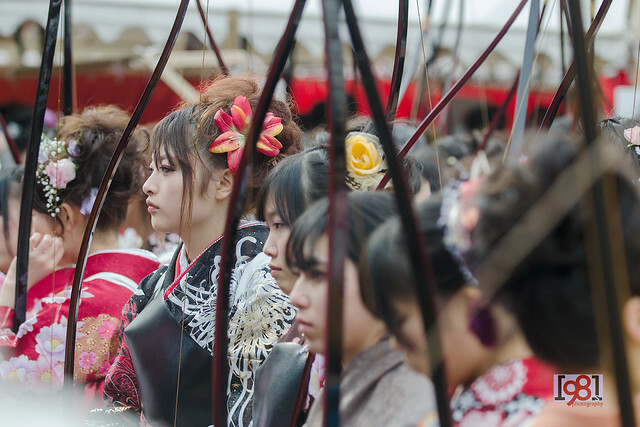 Originated from Tōshiya, O-mato Taikai, or Festival of the Great Target began in 1861. This annual event is held at on the veranda of Sanjusangen-do temple in Kyoto, drawing roughly 2,000 participants from throughout Japan. 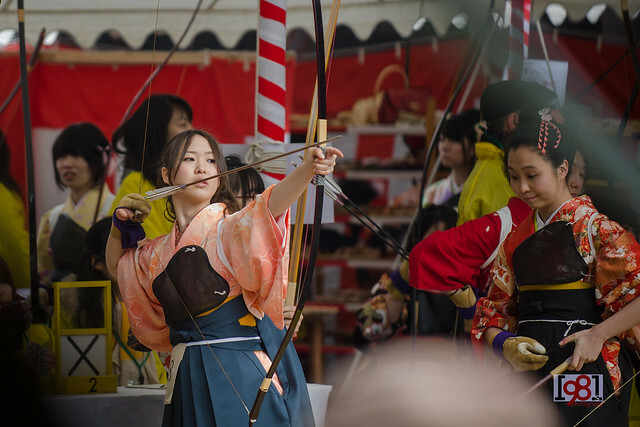 Archers shoot arrows into targets approximately 50 – 100 centimeters in diameter and 60 meters away at the opposite end of the veranda. It is held on the second Sunday of January in conjunction with the temple’s most important mass, the Yanagi-no-Okaji, or Rite of the Willow ritual and Japan’s Senjin no Hi, or Coming of Age Day to congratulate all those who reach 20 years old. 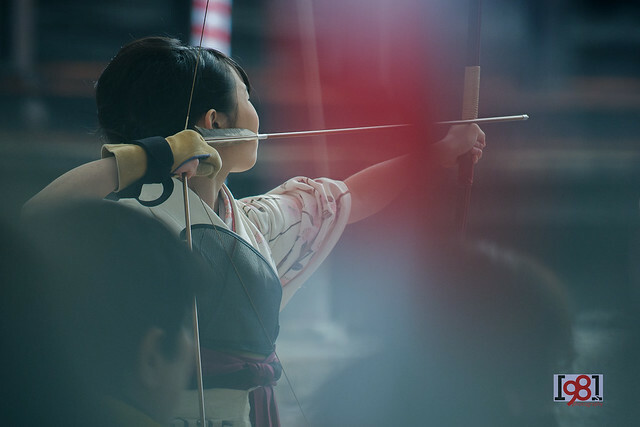 On 13 January the dorm I am living in organized a tour to Kyoto and visiting the Sanjusangen-do temple to see the archery exhibition contest was a part of the program. It was far more crowded than I anticipated and I gave up the idea of looking for a good place to take photos of contestants. What worse, we were lost from other members and missed the Thousand Armed Kannon Statues inside the temple’s main hall.